New Delhi July 13 (IANS) Indian exports in June at $27.7 billion rose by 17.57 per cent over the same month in 2017. But with higher crude prices increasing oil import costs by more than half over the last year the country s trade deficit soared to $16.60 billion official data showed on Friday. As per the Commerce Ministry data India s merchandise exports in June last year were worth $23.56 billion. Petroleum products organic and inorganic chemicals engineering goods and drugs and pharmaceuticals showed a high export growth rate in June over the same period last year a ministry statement said. Petroleum product exports during the month in consideration increased by a whopping 52.53 per cent over June 2017. "Non-petroleum and non-gems and jewellery exports during June 2018 were valued at $20.13 billion as compared to $17.48 billion during June 2017 exhibiting a positive growth of 15.13 per cent " it said. The country s imports during the month under review rose by 21.31 per cent to $41 billion from $36.52 billion in the same period in 2017. Segment-wise oil imports during June 2018 jumped by 56.61 per cent to $12.73 billion from $8.13 billion imported during June 2017. The ministry pointed out that UK Brent crude prices have increased by 60.47 per cent in June 2018 vis-Ã -vis June 2017. "Non-oil and non-gold imports in June 2018 valued at $29.19 billion has recorded a positive growth of 12.53 per cent as compared to non-oil and non-gold import in June 2017 " the statement said. Gold imports in June fell by aroubnd 3 per cent to $2.38 billion. India s merchandise trade deficit widened to $16.60 billion during last month as against $12.96 billion in the corresponding period the previous year. 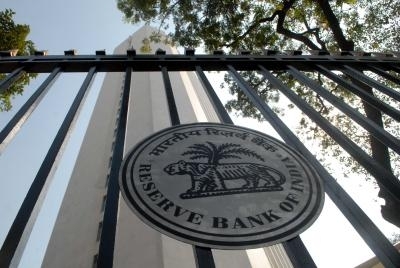 According to Reserve Bank of India data released on Friday the trade balance in services for May 2018 was estimated at $5.97 billion. The central bank s data on services exports comes out with a lag of around 45 days. "Taking merchandise and services together the overall trade deficit for April-June 2018-19 is estimated at $32.32 billion as compared to $28.55 billion during April-June 2017-18 " the statement said.